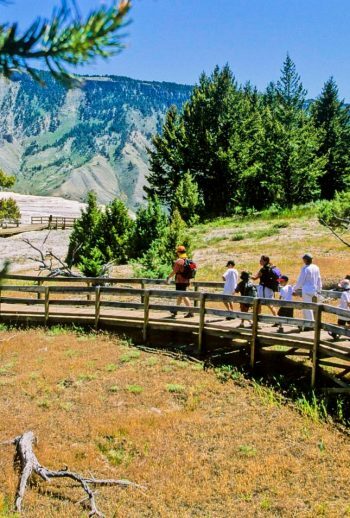 Rally the kids, don your favorite cowboy hat and get ready for an action-packed, all-inclusive dream trip to Montana and Yellowstone National Park. 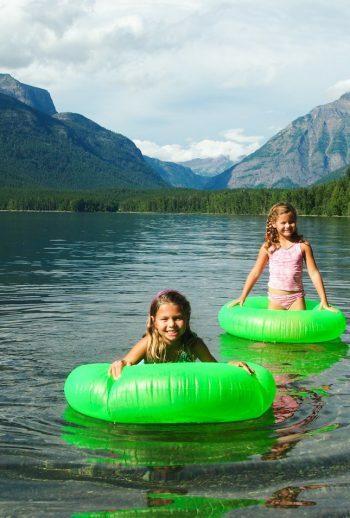 With roots deep in Montana soil, it’s no surprise that Austin Adventures is the leading provider of best-in-class travel from Old Faithful to Paradise Valley and beyond. From gurgling geysers to lofty mountaintops, discover the perfect backdrop of your next family photo on this intimate journey through Big Sky Country. Our expert guides can’t wait to introduce you and your family to the remarkable treasures of the wild, wild west as you explore pine-studded forests, raft the Yellowstone River and ride horseback across pristine meadows with a couple of bona fide cowboys. Each day, enjoy the finest in western hospitality and regional fare complemented with Austin’s signature touch of inspired, thoughtful service. You and your buckaroos won’t soon forget this adventure of a lifetime! Beehive Basin: It's sensory overload as you soak your feet in an alpine lake surrounded by blue sky, granite spires and wildflower-studded hillsides. The Yellowstone River: Rafting these rapids means navigating the longest free-flowing river in North America. Discovery: Traverse the property at the 320 Guest Ranch in search of a cleanly imprinted grizzly track in the dried mud. Learn the difference between Yellowstone’s four geothermal features: geysers, hot springs, mud pots, and fumaroles. Take a guess at why Yellowstone’s bubbling hot springs come in a wide array of bright colors. Taste your way through an assortment of wild game options, perhaps the elk tenderloin, antelope sausage, or duck breast will be to your liking! Spot all kinds of wildlife ranging from the cute, furry Uinta Ground Squirrel to the massive, shaggy American Bison. Observe the effects of wildfire in a lodgepole pine ecosystem, past and present. Listen to a rancher’s side of the story as you hear Martin or Jack Davis, fourth generation cowboys, explain how Yellowstone’s reintroduced wolves have affected their cattle population. Find out why Chico Hot Springs Resort is a favorite celebrity haunt. Discover for yourself this place they call Big Sky Country.